I suppose it had to happen. I mean, things were going too well and I had no worries of any consequence. Inpecting the shack the other day, I realised that part of the tar roof over our living room extension was missing. It had to be, because I found a piece of the sheeting that covers that section of the roof lying in the overgrown jungle that I call a garden. I went to get my ladder and inspect the damage. Yep. Big hole in the roof covering. So there went my Saturday morning lie-in. Early up on Saturday then. And there he was, complete with partner and all the necessary tackle. He borrowed my ladder. He borrowed my shovel. And then he went at it like a Trojan. Realising that I would be of no help at all, I went off to the kitchen, made coffee and waited until the initial destruction was complete. That didn’t take long actually, about an hour and my roof was stripped of the old tar paper covering. Declining coffee, they accepted a cold beer and then it began to rain. Rain stops play. Finally the rain stopped and play resumed. A new layer of lining membrane went up first. This gets melted into place with a flame thrower and is then set firmly with small nails. 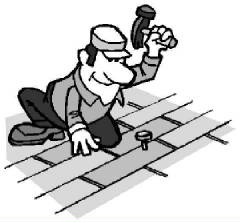 Then he put metal runners on the roof along the edges to carry rain water away to the guttering. Finally, the top cover went on and, once again, the flame thrower came into play. After two hours work he pronounced the job done and we all pitched in to get cleared up. All the old covering went to the local dump, my tools went back to the shed except the shovel, which got broken during the stripping process, and we rounded the whole show off with a beer and a well deserved smoke break. Money changed hands, we all thanked each other and they left. Poorer but happy, I mooched off to my living room, poured myself a whisky and lit a pipe of the good stuff. Right, I thought, let the weekend begin. The weekend lasted until Sunday morning. My wife was up as she has to work on Sundays. I was quite happy taking the extra hour or so under the duvet when she came into the bedroom. Apparently our neighbour had been round to ask if we could clip the hedge between us as it was falling under it’s own weight. Into my garden, I might add. There went my Sunday lie-in. Up and at it then. I equate “clipping the bloody hedge” with “mowing the bloody lawn”. Both jobs are equally awful, time consuming and utterly obnoxious as far as I am concerned. It always involves power tools, buckets of sweat and foul language. My intrepid neighbour came round with his hedge cutter too. He can’t get at parts of the hedge from his side because he built a shed. We attacked the jungle with gusto. Perhaps a bit too much. I know that we are in for a long summer. As I hacked away at the higher section of the hedge, I displaced a blackbirds nest, complete with two youngsters, newly hatched, a hatching egg and two others that must be close to hatching. If the birds are rearing young now, they must be optimistic about the length of summer left to rear them in. This is probably their second lot this year. Putting the nest back is next to pointless. I know the parent birds will abandon it. But put it back I did, and now we shall have to wait and see. I am sure that marauding magpies will have the chicks by morning tomorrow. My neighbour tried to be optimistic but I feel we have sealed their fate already. 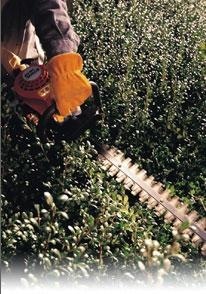 Having clipped the hedge inside my garden, I then had to trim it outside as well. Then clean up the clippings, collect them into bags and take them to the dump. I did that. Then it started to rain again and I decided to call it a day. Looks like I’ll have to clean up in the garden tomorrow or whenever I get a morning with some sunshine. Oh well. Here’s looking forward to next weekend. Maybe I can get a lie-in then. We’ll see. There’s some fifty odd pipes, 22 varieties of single malt, at least five different sorts of tobacco, my decanters and scotch glasses and a few travel souvenirs for effect and conversational purposes. If I can get my way with the little woman, I may just move my favourite chesterfield armchair into the near vicinity and then go into a form of hibernation where she just brings me food once or twice a day. OK, there are still a few bottles of wine I have to find a home for that are cluttering the floor to the left of the picture, but the hard work is over and the enjoyment can begin in earnest. It may not be to everyone’s taste, but it suits me fine! I have all my hobby stuff in one area of the living room instead of spread out all over the house. One of my pals has seen it and is pretty much convinced he has to build something similar. 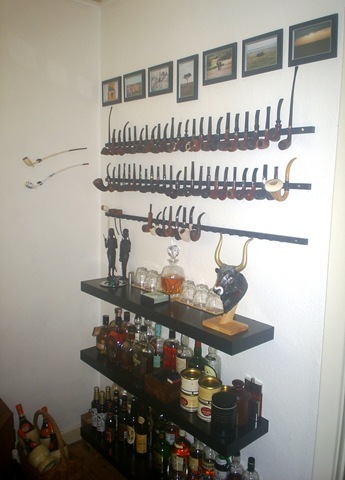 Now the only problem I have is in selecting which pipe, which tobacco and which scotch I should combine for the evening. The possibilities are endless! That should keep me out of trouble for some time to come.